If you’re searching for apartment clean out tips, chances are excellent that task is well at-hand. And, it’s understandable if you’re hesitant or downright unmotivated. Now, it’s time to get going because your lease just happens to expire soon. Plus, you’re more than ready to move on to something better. Or, you’re relocating after the first of the year. 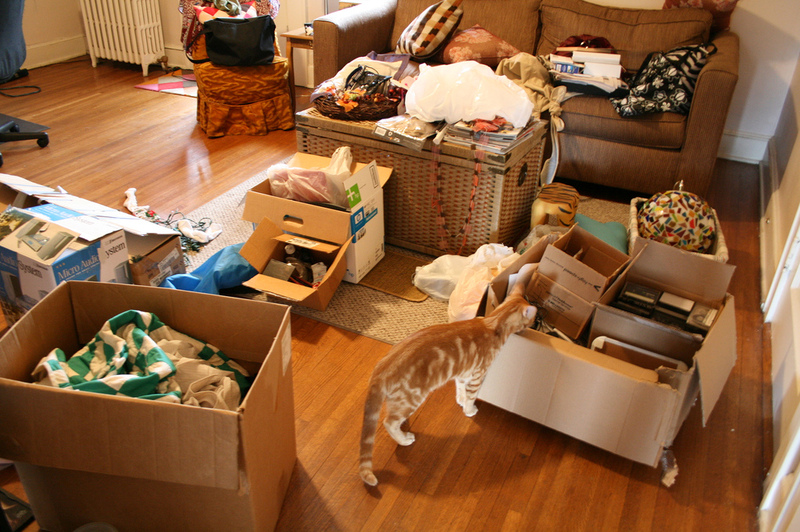 Whatever the case, you’ve got to deal with an apartment clean out and deal with it right away. Of course, you don’t want to turn the situation into a regrettable one. In most garden variety apartment lease agreements, you’ll find some clauses related to vacating the property. As you might imagine, those put the onus on you to leave it in good condition. And, not to leave a bunch of junk behind. So, you’ve got to do more than just move your stuff out, you’ve also got to clean every room. The best thing to do is to clear everything out. Then, go back and just take some time doing a deep clean. Follow that with a little disinfecting and that should do the trick. Ask the property management service what’s expected of you. This way, you won’t get hit with some out-of-the-blue, unpleasant surprise. If you do it right, you won’t encounter a problem. Start with closets and other storage spaces. Because closets and storage spaces become catch-all areas, these are the best places to begin. Don’t worry about what you’ll do with all that stuff. Instead, take the opportunity to purge, purge, purge. If you do this, you’ll have less stuff to cart from one place to the next. Go through the bedrooms next. When you’ve cleared out the closets and other storage spaces, move onto the bedrooms. Here again, take advantage of the purge. Remember, the less you have, the less there is to move. Clear out the common living areas. Next, go into the common areas, like the living room, dining room, den, and more, if applicable. Once the furniture is gone, you can clean the walls, light fixtures, and more. Finish with the kitchen and bathrooms. Empty the kitchen and bathrooms of everything, including personal items. Then, hit these areas hard with a deep clean and disinfect to finish. If you need help with an apartment clean out, go ahead and phone 800-433-1094 or visit Junk Garbage Removal.